InterDigital Inc. announced on Monday the sale of around 1,700 patents covering various wireless technologies to Intel Corporation for about $350 million, a move that pleased shareholders and sent shares in the company up by 27 percent. The contrast between the two companies is stark; hugely successful desktop CPU-maker Intel has been pushing hard to expand its chip business into the mobile and wireless sectors, while InterDigital has been struggling for nearly a year to capitalize in the surge in interest for wireless patents. 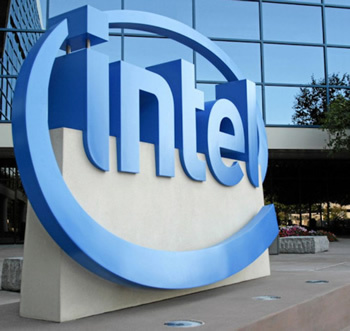 InterDigital will not retain any interest in the patents sold, but did note that the sale to Intel equated to roughly eight percent of their total IP portfolio. The patents relate to 3G, LTE and 802.11 wireless technologies. "The acquisition of this portfolio of InterDigital's technologies by a global technology leader like Intel affirms the efforts of our research and development team which actively shares our innovations with the worldwide standards bodies, defining technologies that are central to the world's major wireless systems and devices," said Scott McQuilkin, Senior Executive Vice President, Strategy and Finance at InterDigital in a statement. He added that the sale of roughly eight percent of the firm's total number of patents marked an important milestone in its bid to expand the monetization of their large and growing intellectual portfolio. "These patents will support Intel's strategic investments in the mobile segment," said Doug Melamed, Intel Senior Vice President and General Counsel. "The addition of these patents expands our already large, strong and diverse portfolio of intellectual property." The deal is expected to close in the third quarter of 2012, subject to regulatory approvals.